Yerba mate is a cultural legacy of the ancient Aymara natives, Quechua and Guarani peoples and is enjoyed throughout the Southern Cone, but only in Brazil it is known as chimarrão. Just like in Argentina, Paraguay and Uruguay, there is also a world of customs, idioms and folklore surrounding this drink in Brazil. The term chimarrão, which is derived from the Spanish cimarrón, was the term used to refer to cattle who returned to their wild origins and also to wild dogs. Other than this difference in denomination, Brazilians also differ on the way they tend to take their mates: primarily in large gourds or calabashes. Not to mention that Brazilian mate is usually quite bitter in comparison to the Argentine and Uruguayan yerbas. The intensity of the bitterness varies from region to region, however. Although yerba mate is largely consumed throughout Brazil, the traditional mate with gourd is more rooted in the states of Santa Catarina, Rio Grande do Sul, Paraná and in parts of Mato Grosso and Mato Grosso do Sul. Each region is characterized by having its own type of yerba mate, which varies in composition depending on the particle size and contain predominantly stems and leaves. This makes Brazil a very interesting destination for those aiming to try a wider array of mates. So what differentiates a Brazilian mate from Uruguay, Argentina and Paraguay? It is the type of yerba used. Chimarrão is practically free of stems, which was traditionally removed by the Portuguese in order to avoid heartburn. The Brazilian blend also contains a lot more powder than other blends and is characterized by a very rich and intense green color, since its not left to age like in Argentina, but rather readily packed after the harvest. Don’t ever wipe the mouthpiece of the bomba (bombilla in Portuguese) before drinking. This might offend your host or others in the circle. Respect the order in which the gourd is passed around. Don’t ever, ever touch or rearrange the bombilla. CORRECTION: it’s not Yerba Mate in Brazil as we speak ! It’s “ERVA MATE” Uruguay, Paraguay and Argentina say it as Yerba. Hello Kleder. I am a native Portuguese speaker myself and I am aware of how its called in Brazil; however the website is written in English and the term that has been established worldwide is “Yerba Mate”. 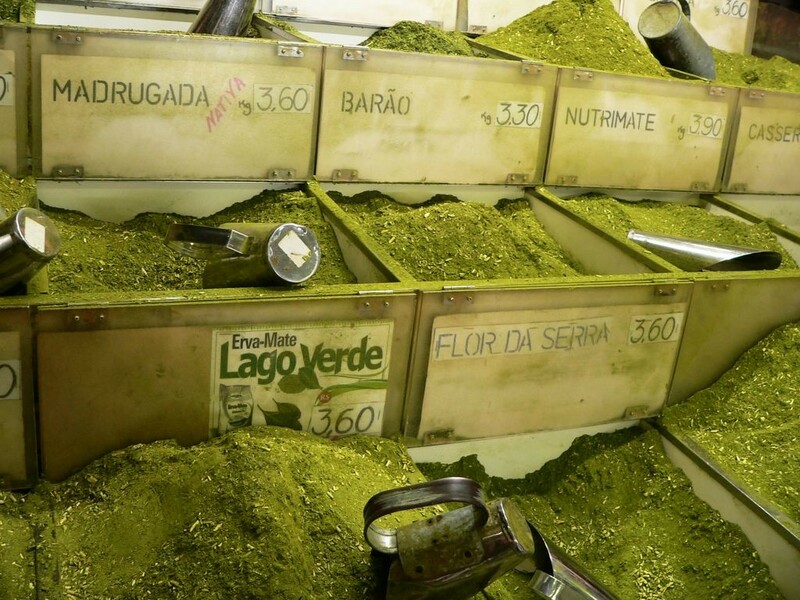 So to keep the blog consistent, we use the term “Yerba Mate” even though the topic of this particular post is related to Brazil. Wow, where’s the photo from (of the bulk yerba)? So much cheaper than what I paid for a package. Or any other ideas on where to find it in Rio?